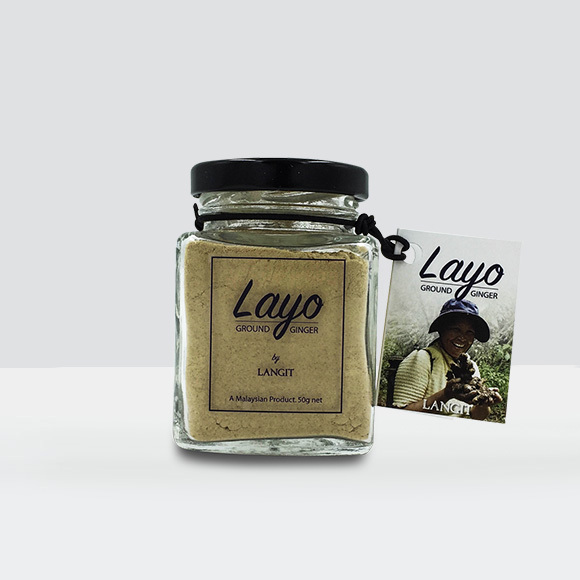 Layo, ginger in the Dusun ethnic language. The gingers are grown by smallholder farmers to a maturity age of 1 year before being harvest. Every 50g bottle is pure ginger essence made by slicing, sun-drying and grinding 1/2kg worth of chemical free highland ginger.